Today was my first day as the Technical Product Manager for Education Reseller, Ronald A. Williams. Moving from a private engineering practice to a reseller, I certainly have a lot to learn, but I figure we can discuss that another day. Instead, I thought it would be fitting to look back on my job search that ended up lasting 2-months to the day. While I certainly cannot claim to be a professional career counselor, I can definitely share what worked for me, what didn’t, in addition to some of the less conventional methods I employed. Perhaps some of my experiences can help those of you who have found yourself displaced much like I did. Just the thought of being among the chosen few as your company downsizes is well – sickening. After all, you’ve poured your heart and soul into the job you do, all to be rewarded with an unemployment benefit amounting to a fraction of your “old” salary. So what is one to do, especially considering unemployment has now exceeded 10% in many parts of the nation? My answer to you is twofold. First and foremost, you want to focus on keeping your current job, and reduce your chances of making “The List”. Of course, times are tough throughout the industry, and no one (myself included) is, or should suspect their self as being immune to making “The List”. In essence, you should focus on keeping the job you have, but also prepare to find a new job should you be forced to. Think of it as constructing a Plan B, you’re not looking to leave the firm, but you also like the idea of having some insurance just in case of emergency. There’s no two ways about it, developing what’s essentially an exit plan without sending the wrong vibe to your current employer can be tricky. I achieved this by networking with some of the best names in both my local community, and the CAD industry as a whole. The key to doing this in a way that doesn’t threaten your current job is to make these new contacts allies to your firm, not solely people to call on should you find yourself looking for a job. 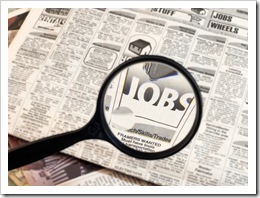 Make your “job search” valuable to your current firm. Serving in a CAD Management role at my last firm, the users I supported had the tendency of stretching the software to the max. I had a small group of users who if they submitted a support ticket to me, I knew I better clear my schedule for the rest of the day, as finding a solution would be incredibly tough. Want to take a guess on who I called for help solving some of my most challenging support tickets? That’s right – the people I had networked with, and created a strong rapport with. Those contacts were ultimately mine, but while I was still with my old firm, they were an indirect ally to it. All of a sudden I had a Plan B, while remaining focused on Plan A. After being with my previous firm for nearly 6-years, and doing everything in my power to reduce the risk of being laid off, I certainly didn’t expect the news I was about to receive as I stepped into a meeting with my boss and our HR director. Given the economy, I always knew it was a possibility, but didn’t exactly expect it to be me. But then again, I was fully aware tough times bring with it even tougher decisions, which aren’t at all personal, but in the best interest of the firm. Personally, I had always considered the relationship I had with my boss to be rather strong. That suspicion proved to be true, as a major ally in my job search was my former boss. While it was certainly difficult to stay calm while I received the news my position was being eliminated, it kept the relationship I had with my boss intact. As I began my job search I kept him up-to-date on the job prospects I was perusing. For more than one prospect, my former boss knew someone at the company I was talking to, and was able to help get my resume noticed by the right people inside a given firm. Think of it like this. When you leave your office for the last time, you essentially leave with a can of gasoline in one hand, and a match in the other. You can use the match and gasoline to do one of two things; burn bridges, or kindle relationships. While it may give you temporary satisfaction to burn bridges, you’ll probably need your former co-workers before they will need you. While my boss did help me pursue a number of opportunities, ultimately it was a random co-worker that ultimately sealed my fate. As luck would have it someone at the company I ultimately accepted a position with knew someone at my former company. Long story short, my new company used that random co-worker to see if I was in fact the person I claimed to be during my interview, and on my resume. Face it, your job is a major part of your identity. To have a part of your identity essentially stolen from you, will undoubtedly send you on a trip you won’t soon forget. It’s easy to dwell on the fact you’re now another statistic, waiting in an unemployment line, but don’t! My advice to you is to take a day or two to simply escape. Step aside for a moment to let your anger, disappointment, along with whatever mix of emotions you’re feeling, and let them settle down. Once you’re had a chance to collect yourself, sit down, and start getting your resume and cover letter in order. You have to put your best foot forward with your updated resume and cover letter, and the best way to do that is with an objective mindset, not one tainted by fresh layoff. Microsoft Template Gallery: It’s a great place to get a TEMPLATE, but no place to get a resume anyone will pay any attention to. There’s nothing wrong with using one of the many resume templates Microsoft has on their site, but don’t just type your name on it, call it done, and expect any phone calls. Chances are your competition (other applicants) that used an original resume/template are the ones sitting in the interview you wish you had. Tailor it to the Job: One of the best ways to stand out among your competition is to customize your resume for the specific job you’re applying for. My base resume was naturally technical in nature. Do you think I used a technical resume to apply for a sales job? Heck no! Contact Info: There’s nothing wrong with having a creative e-mail address, just its place is not on a resume. Especially considering the number of free e-mail services out there today (cough ~gmail~), there’s no reason not to use something simple and professional like firstname.lastname@gmail.com. What’s more inconvenient, checking another e-mail account, or remaining unemployed? Plain and simple, the success of my job search was not in the classified ads I replied to, but rather in the people I contacted. Remember those network contacts I mentioned in my Before You Make “The List” section? I’ll give you one guess who I called the moment I finished preparing my resume. From the moment I became unemployed I made my full-time job finding a job. I honestly have no clue how many hours I spent on the phone while unemployed, but suffice to say I probably have sufficient qualifications to be a telemarketer. In a better job market, you could probably get away with blindly applying for jobs on sites like monster.com, but that’s just not the case today. To put things into perspective, take a drive through your neighborhood. Assume an average of 2 working adults per household. With unemployment at 10%, that means at least one person in every 5 houses is unemployed. That’s a lot of people to be competing for the same job with! Call, and then follow-up on your call. One of the best ways to emerge as a top candidate in any job market, but especially this one, is to have someone to call. Thankfully I had a rather strong list of contacts to call before I lost my job, but these were the people I started my job search with. After contacting them, and submitting my resume, I made sure to keep in touch with them. Generally I’d either call of e-mail at least once a week. Don’t go overboard, and become overzealous, but do keep your name fresh with the companies you’ve applied with. Something else to consider, your contacts don’t all have to be potential job opportunities/employers. During my search I actually ran into a couple instances where my contact worked for a company who had just endured a round of layoffs their self, and naturally in no position to hire new staff. Still, I didn’t discount the power of these contacts, and after discussing my job search with them found out they knew executives at companies I was pursuing. When I started my job search I knew social networks like LinkedIn were structured specifically for businesspeople to connect with other business people. Knowing that, I did browse both my contacts, and the contacts of my contacts to see who I may know at the companies I was seeking jobs with. When compared to something like the age-old printed resume, LinkedIn is certainly a contemporary tool for any job seeker. Something that did catch me off guard a little was the power of things like twitter and facebook for finding a job. On twitter GetCADJobs tweets about all sorts of CAD related jobs. Also, sites like twitter let you create that all important rapport with your contacts. Some of my contacts were people I only see (face-to-face) at events like Autodesk University, but thanks to creating rapport with them via twitter, they felt comfortable writing recommendations on my behalf. Another rather unconventional job seeking tool I found was facebook. I had always thought of facebook as being a place for me to connect with my non-business friends. Boy was I wrong. Today everyone and my mother are on facebook, so really what better place to reach out to people at companies you’re seeking a job with? During my job search I was actually able to use facebook to locate, and schedule lunch with an employee of a firm I was trying to get a job with. In my opinion, any tool that allows you to connect with people is a valuable tool for anyone seeking a job. Something I had, that I recognize few others have, is this blog. Shortly after announcing I was seeking employment here on The CAD Geek I had an e-mail from a firm here in Richmond, VA interested in talking to me. Just like my resume section, there’s a ton of sites out there offering tips on how to be a better interviewee. I did however want to expand on a couple thoughts I had about interviewing. It seems obvious, but be sure to know what your references are saying about you. I had one reference (whom I rarely see in person) say to a potential employer that I was always very professional, and every time they had seen me I was wearing a suit. Imagine how stupid I would have made both myself and my reference look hadn’t I worn a suit to an interview with that company. Speaking of suits, I’ve always subscribed to the notion of “dressing for success” when interviewing. Don’t expect to be taken seriously if you show up to an interview in flip-flops. While that may be taking things to an extreme, guys certainly wear a tie at a minimum. Just as important as dressing the part during your interview is following up after your interview. It’s old fashioned, but a thank you note after an interview will go a long way in the eyes of a potential employer. Rather than sending my thank you letter in a standard envelope, I chose to stand out in a professional way by using a full-size linen envelope. Sure sending a full-size envelope took a little more postage than a standard envelope, but I also know more main arrives in standard envelopes than full-size envelopes. Thus I figured a full-size envelope would stand out in a good way, prompting my letter to be opened immediately, and consequently receiving more attention. It’s one thing to have someone’s e-mail address and phone number, it’s another to actually know them. Just as important as establishing network contacts is creating rapport with those contacts. Make them an ally to your current firm, but also prepare yourself to use them to help you find a job if needed. Always pay extra attention to come off professional, and work to stand out in a good way. Keep your contacts up-to-date throughout your search because you never know if they may know someone who works at a company you’re seeking a job with. Autodesk Assistance Program – free software, training, and discounted certification from Autodesk. Donnie wrote a great post. I think the overarching reason why people fail in their job search attempts is the simplest: they don't try and they don't put in the work necessary. I wish I could have kept my cool as well when I walked into the room with “Darth Vadar” and “Lando Calrisian”. I knew too well it was personal vindication though because I complained about bosses who were not engaged with my work. I was given numerous major design changes on fixed fee jobs after they finally looked at said project three months in (while billing numerous hours to it). It was nice to burn bridges and I'm not looking back, but of course its always best to keep your friends close, and your enemies closer. I'm going to remain nameless, but you were enormously helpful (and still are) with my continuing CAD education Donnie and I wouldn't have had the confidence to tell Darth and Lando to f*** off if not for you and Eric. It was especially gratifying as well after being entirely left out when our group was featured by AutoCAD. I'm really glad to see that you rebounded so well. Congrats on the new book. Donnie, this is a great article! 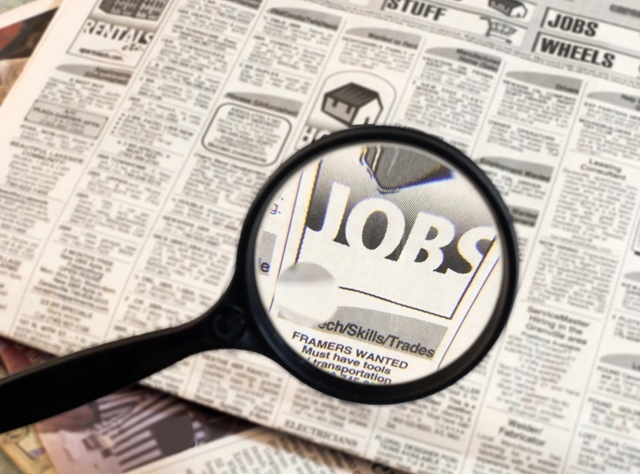 There are two points where I feel that it you touched upon a very crucial part of job hunting. The first is the breathe section; loosing a job can be frustrating but there is only one more thing that can be even worse…loosing it and then trying to find another one promptly with lower self-esteem and depleted resource of enthusiasm…well, this is the best cocktail on how not to get a job. You are right, having a few days off after being sacked as important as a good, up-to-date cv! The second crucial point is the Linkedin network. Personally I have never got a job through there (I was not actively looking in the last few years either) yet I have heard from several people that they got a good job through Linkedin along with a decent salary, so it is definitely worth a try. Moreover, I noticed that sector-specific recruitment agents are adding me into their network, which is again a good sign of the fact that jobs are actually being circulated within Linkedin members. Did you get my linked in message about helping Tony out with a website? Donnie, great tips! In my search for a job, I found out that using these tips made a difference. In a time where a company can easily choose from over 100 applicants, you have to make sure you are noticed, but in a good way of course! I saw a difference once I reworked my resume to show specific accomplishments from each job I previously held. I went beyond listing "duties" and "responsibilities." Congratulations on your new position. They did well by choosing you.